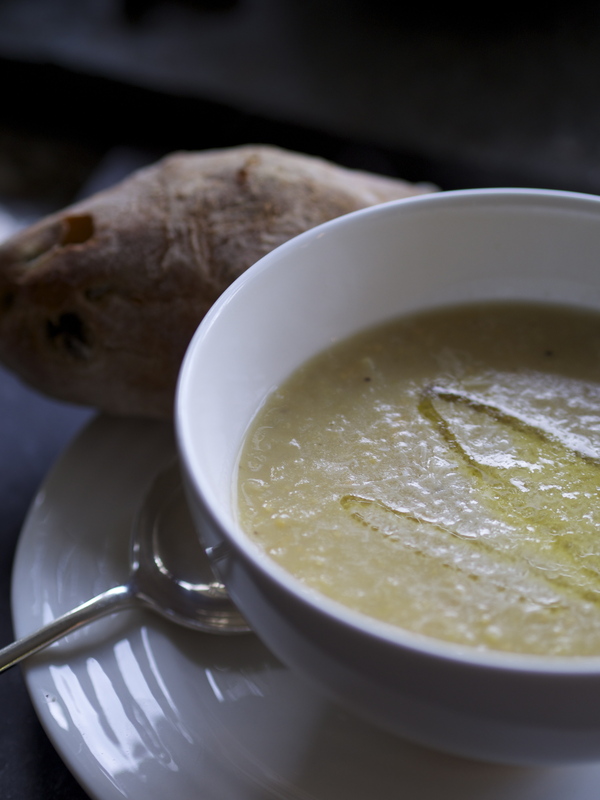 Drizzly cold weather calls for warming leek, chick pea and potato soup…. Delicious soup for cold days from my clever sister! This is one of those soups that came from what was available in the fridge/larder on Monday as the cold weather set in and I woke to the first real frost of the winter. I think it’s a version of a Jamie soup I had years ago but couldn’t find the recipe so made my own. Alongside my wonderful new log burner that is making my chilly study finally habitable (just as well as I’ve got a new book to write this winter! ), this soup is now added to my list of tips on how to work at home without running the heating too high! Easy warming recipes and plenty of dry logs make for happy me and contented dogs. And hopefully time to blog here as well…..